The Chicago Bears single-handedly took their season from the darkness of disaster and dragged it back into the light on Sunday when they knocked off the San Francisco 49’ers by a score of 28-20, but the victory came at a serious cost. Cornerback Charles Tillman, who missed the final eight games of the 2013 season with a torn triceps muscle in his right arm, re-injured the muscle in Sunday’s victory, and camera shots from NBC showed the veteran cornerback crying on the sideline. The injury kept him out of the second half of the contest, and if his reaction was any indication, it could keep him out for a lot longer than that. Tillman wasn’t the only Bear injured in the game. Defensive tackle Jeremiah Ratliff, who has been arguably the team’s best defensive lineman in the first two weeks of the season, left the contest with concussion symptoms in the second half, and after going through protocol was diagnosed with a concussion. It’s unclear at this point just how serious the injury is, but it could well mean that either Will Sutton or Ego Ferguson will make their first career NFL start next week against the New York Jets. Safety Chris Conte, who had his second interception of the season on Sunday on a spectacular diving play, was also injured in the game, suffering a shoulder injury. Conte has dealt with a lot of injuries over the past few months, having offseason shoulder surgery and suffering a concussion against the Seattle Seahawks in the preseason, so even though it isn’t surprising that he’s hurt again, it definitely hurts the Bears to have their best safety off the field. Finally, cornerback Sherrick McManis was injured in the game as well, suffering a quad strain. His injury left the Bears with only two healthy cornerbacks, and safety Brock Vereen got in on the action as he filled in at nickel corner as Kyle Fuller shifted outside for the Bears. There will be some updates at Halas Hall on Monday when it comes to the injuries, but most of the focus will be on Tillman. The veteran corner signed a one-year deal to return to the team over the offseason, but if this injury proves to be serious, the Bears could be forced to shut him down for the year. They unfortunately do not have the option of placing him on injured reserve with designation to return, as they’ve already used that tag on wide receiver Marquess Wilson, and so if this injury is going to linger, then the team will either have to put him on IR to free up a roster spot or carry him on the 53-man roster until he’s healthy again. 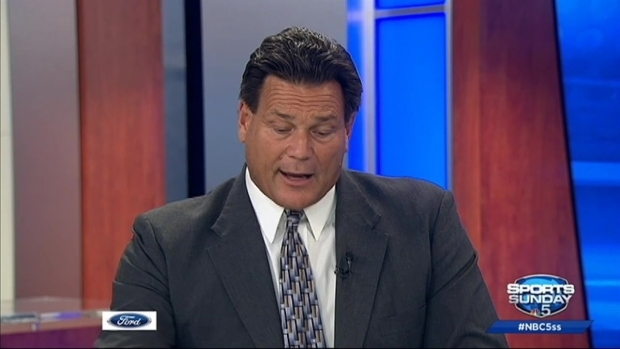 Hampton: "This is Why You Play the Game"
09/14/14: Dan Hampton reacts to the Bears' suprising 28-20 comeback win over the San Francisco 49ers. Either way, the Bears’ defense delivered a great performance on Sunday, but it also took some body blows in the victory over San Francisco.